About the Book: After an accident leaves Samantha homeless and fatherless, she's not sure what to do. It's Missouri, 1849 and her dreams of being a musician are not going to be easy-she's a girl and she's Chinese American. Without a place to go, she's invited to a local hotel run by her landlord. But he has other plans for Samantha in mind-namely working in his brothel. Samantha fights back and finds herself needing to escape and fearing for her life. She meets a slave who works at the hotel named Annamae, who is also planning to run. So together they disguise themselves as boys and set off on the Oregon Trail to find Annamae's brother and and a new life for Samantha. As Sammy and Andy, they meet up with a group of cowboys who become unexpected allies. But if they knew the truth, the group could be in trouble-Annamae and Samantha are both wanted by the law. A powerful story of friendship and family. 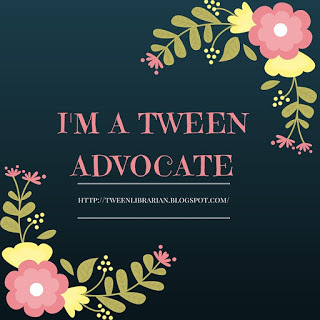 GreenBeanTeenQueen Says: Who knew the world needed a YA Western? It's not a genre I get asked about regularly (although here in Missouri I do get asked this question once in awhile). Stacey Lee knew we needed an amazing girl powered YA Western featuring a diverse cast of characters and lots of keep you up reading adventure-and I'm so glad she did! At first glance, Under A Painted Sky might be a hard sell to readers. Like I said, it's not every day I get asked for the western genre or even historical fiction. But there's one way to sell this book-have readers just open it up and read the first chapter-or even the first two chapters. The book starts with such a bang and within just a few pages, our main characters have met up and are off on the trail. There's not much waiting around for the adventure to start-it's there from page one. And it never stops. Each chapter brings a new setback on the trail, a new hardship, a new adventure, a new crisis to overcome. The details of trail life are hard and brutal (and eye-opening for readers who might be very familiar with this period in history) But it's not all dreary. There is lots of humor injected into the story as well. I love Annamae and her various quips and the cowboys can be a jovial bunch. The thing I loved most about Under a Painted Sky, aside from how fast paced the plot is, is how diverse the cast is. Sammy and Andy meet up with cowboys who are from Texas and one of the cowboys, Petey, is from Mexico. Along the trail they meet up with people who have come from all over-a group from France, a gang of boys from Scotland. I listened to this book on audio and this is where I really fell in love with the audio-the narrator does an excellent job with all the various languages and accents. I will admit that Sammy is a bit too perfect at times. She has overcome a lot of odds in a society that is against her and while that makes her a strong character, it also felt a bit too perfect. She can speak many languages so she can translate along the trail, she can play the fiddle (mostly seen as a man's instrument), she is well educated. I liked that she fought against expectations, but at times it felt a bit too much for the novel overall. Sammy could always save the day. The friendship that develops between Andy and Sammy is the strongest relationship overall. They develop a strong and powerful bond and it's a beautiful picture of female friendship. They have been through something very hard and it's not going to get easier from here-the road ahead of them is still full of many trials and tribulations. Yet through it all they grow close to each other and find family in each other. I loved seeing two strong female characters in this book and I enjoyed reading about both of them. The cowboys-Petey, West, and Cay-add another element to the novel both of drama and fun. Cay is the most lighthearted-always joking, flirting with various girls they might meet up with, and having fun along the way. Petey and West are more serious with West having the most difficult background and prejudices to overcome. His story is handled deftly. Sammy develops feelings for West, but as she's keeping her true identity a secret from the boys, the romance isn't very angsty. And since they have bigger things to deal with-like surviving-there's not much dwelling on the idea of a starcrossed romance. There is still romance in the book, but it's not the main plot point and I felt that it was well done and added a nice depth to the novel without feeling out of place. The focus is on Andy and Sammy, their friendship and the overall trip to California. I absolutely loved this book. I've been suggesting to everyone and couldn't stop talking about it after I read it. I even got Mr. GreenBeanSexyMan to read it (which is huge!) and he enjoyed it. (He loved that there wasn't much angst in it as well) I would recommend it on audio, as the narrator does a wonderful job, but reading it is just as enjoyable-I couldn't wait to get through the last disc and finished the last 80 pages by reading it myself. I can't wait to see what Stacey Lee has in store for us next-I'm sure it will be wonderful! 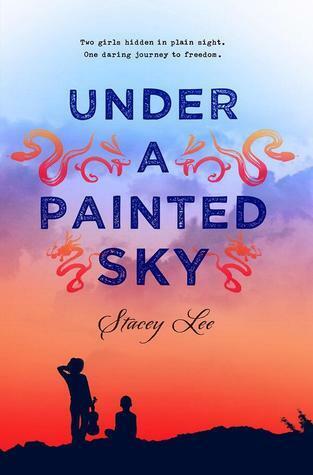 Even if you think you don't need a YA Western, give Under A Painted Sky a try-you might be surprised to discover a book in a genre you never knew you enjoyed. Nice review! I enjoyed this one as well and hope that teens will give it a chance. It's got lots of fun elements that will keep them (and adults!) engaged.